Suketar. Nepal Army has started collecting the bodies of those killed in Air Dynasty chopper crash here. 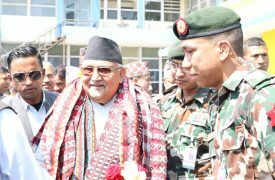 Although there was no situation to land the helicopter at the incident site, the Nepal Army has brought two bodies at Suketar Airport of Taplejung. The NA team has headed towards the incident site to bring other remaining bodies. 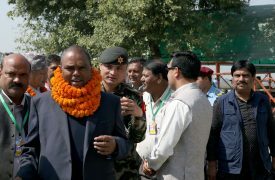 The NA chopper would return Kathmandu after bringing all bodies at Suketar airport. 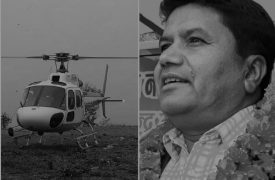 A helicopter of Air Dynasty carrying a team comprising Minister for Culture, Tourism and Civil Aviation Rabindra Adhikari had left Kathmandu for feasibility study of airport at Chuhandanda of Terhathum met with the accident at Darebhir of Taplejung while returning to Kathmandu.